Are you one of the legions of Americans who run on Dunkin’? If so, be advised that your DD Perks Reward Account may have been compromised. The company reported that they were recently breached by a currently unknown third party, and that at least some customer information was compromised. 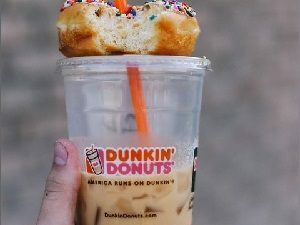 Dunkin’ (formerly known as Dunkin Donuts) discovered evidence of the incident on October 31st, 2018 when one of their security vendors reported that an unknown third party had made use of stolen credentials to access user accounts. Out of an abundance of caution, the company said it pushed a password reset to all users who were potentially impacted in a bid to minimize further damage. If you received a letter from Dunkin’ be aware that the next time you head to the site, you’ll be asked to change your password. If you haven’t gotten a letter yet but you have been asked to change your password, you can expect to receive a communication from the company soon. In any case, even if you didn’t receive a notification from the company and even if you haven’t been forced to reset your password, just to be safe, it might be a good idea. Save your points. Protect your coffee!